In the style of China Live and New York's Eataly, San Francisco newest dining destination will be a six story ode to French food. ONE65 is the work of James Beard Award-winning and Michelin-starred chef Claude Le Tohic. The massive restaurant space will occupy the French Beaux Arts building in Union Square and offer four distinct French dining experiences. 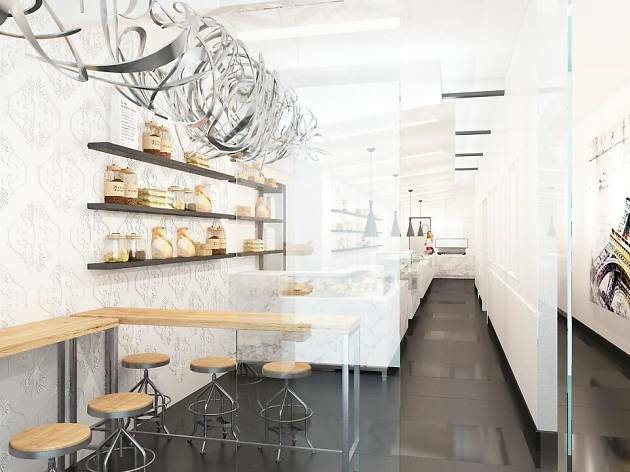 ONE65 Patisserie, which will occupy the first and second floors, will serve as a one-stop-shop for classic French pastries and casual breakfast and lunch items. ONE65 Bistro will be on the third floor, serving more upscale lunch and dinner fare. On the fourth-floor, ONE65 Lounge will serve as a luxurious bar. Finally, O’ by Claude Le Tohic will crown the building on the fifth and sixth floors, serving an upscale, conceptual menu focused on the elements of water, fire and earth. The first and third floors are expected to open this fall with limited seating, while the other levels will open at various dates afterward.